How does McHugh Associates differ from other money managers? First, we are a concentrated money manager-we typically hold only 25 to 30 positions in a portfolio, whereas most other managers probably hold a higher number of positions. Second, and perhaps more distinguishing, is our emphasis on high quality issues-the vast majority of our holdings have an S&P Quality rating of A-, A or A+. We emphasize companies with a consistent earnings record, very strong finances and high excess cash flow generation. The third thing that differentiates us is our belief in team research. Even though each member of our investment team has particular sectors of the market they are more familiar with, and that they follow more closely, we like to have everyone participate in the initial research of a company so that we can produce strong, unbiased opinions on the attractiveness of the potential investment. How would you describe your overall investment strategy? Our strategy is to invest in high quality, consistent growth companies. Such investments, over a 3 to 5 year horizon, should produce returns that are similar to the underlying growth in their earnings, with less volatility than the market as a whole. What criteria must a company have to meet your investment standards? We look at four key criteria when looking at a potential investment. First and foremost, we need to have a high level of confidence in the management of the company we are investing in. We try to interview a member of the management team before we invest so that we can understand how the company is going to grow and what risks are involved in growing the business. Management has to be able to explain to us why their business is well positioned compared to their competition. Second, we need to be convinced that the earnings growth of the company is at least 15% for the next several years and that the growth in earnings will not vary dramatically from year to year-thus, the consistency of growth is just so important as the rate of growth. The third criteria has to do with valuation. We want to invest when a company’s stock is trading in a range of fair valuation. In determining fair valuation we make the assumption that our clients are going to own the stock for 3 to 5 years, so we try to look at the earnings power of the company over that time frame, then make a determination as to the Price/Earnings multiple we have to pay today to capture that growth potential. The fourth variable that we want to see is the potential for growth outside of the United States. Many economies are growing much faster than the U.S., so we want to see the potential to tap into those higher growth regions. In addition, with international diversification, companies can produce a more consistence growth rate over time. Why do you believe large cap growth companies are better long term investments than alternative market sectors? We have looked at returns in the market over the last 20 years, and it can be shown that Large, High Quality Growth stocks outperform the Russell 1000 Growth Index with lower volatility in returns. In addition, higher quality Large Caps outperform lower quality issues, again with less volatility. We think the reason that this occurs goes back to consistency of earnings. Higher Quality companies have less variability in their earnings growth, therefore over the long run are more likely to show less variability in their stock returns. Larger companies are usually more established and better equipped to take advantage of opportunities outside of the U.S.. That isn’t to say that Small Cap investing is inferior because it isn’t. It may mean there are less risks involved in Large Caps over a full market cycle. We prefer Growth stocks over Value Stocks. Again, that isn’t to say that Value managers are barking up the wrong tree. We just think that Value stocks are more often associated with cyclically oriented companies. With cyclicality comes a higher level of unpredictability and thus, potentially, a higher variability in stock returns. What market ratios do you feel are most important to determine whether the market is over or undervalued? We tend to focus on the Price-Earnings multiple in looking at market valuation, then compare the current P/E with where it has been historically. Over the longer term, the average P/E for the S&P 500 has been a little over 15x. Right now the current consensus earnings estimate for the S&P for 2008 is around $94.00, so the P/E is roughly 14.8x. This would indicate that the market is fairly valued at today’s prices. The risk however, is in the earnings-if the $94.00 estimate for this year proves to be too high, say by 10% or so, then the market is really trading at the higher end of fair valuation. We also look at the inverse of the P/E ratio, which is the earnings yield. We then compare the earnings yield on the market with the risk-free return of 5 year government bonds. This analysis would suggest that the stock market is very undervalued, even if you assume earnings estimates are 10% too high. At 14.8x earnings, the earnings yield is about 6.8% compared to the 5 year government bond of 2.9%-this is historically very high and would place the market in a very undervalued position relative to risk free investments. Do you use macroeconomic analysis to guide your investment decisions? We do consider the macroeconomic backdrop in looking at investments, but spend most of our efforts researching individual companies from the bottom-up. We then consider different economic scenarios to look at how the individual companies will fare under these different scenarios. To what extent do you analyze companies in which you invest? We conduct very thorough analysis on a company before we invest. Our analysis starts with gathering as much information on the company as we can, looking at annual reports, 10-Ks and 10Qs, proxy statements and other available company releases. We also find out which Wall St. analysts follow the candidate company closely and then review their reports for more background information. If we are still interested in the candidate, we will then formulate a list of questions for management and set up a meeting with management or a conference call to conduct the interview. We prefer to visit the candidate company, but sometimes a visit to the company can’t be arranged right away so we will do a conference call, then visit the company at later date. We also review the candidate company’s competitors to better understand the dynamics of the industry and to get confidence that the candidate is well positioned compared to its competitors. The final step is to assemble all of our portfolio managers to review all of our research and to discuss the risks involved in the company, the valuation of the stock and what return we could expect to achieve over a 3 to 5 year time horizon. What market or economic factors might induce you to change your holdings? Major economic swings could affect how the portfolio would be invested, but we would never sacrifice the underlying quality of the stocks that we would invest in. As an example, right now we see fairly high risk of negative economic growth, or recession, over the short term. This has led us to heavier weightings in Health Care and Consumer Staples, as those areas tend to be more defensive in nature. The flip side of this would be an economy that is going to grow at an above average rate. In that case, we might put more emphasis on sectors and companies that would benefit more from a stronger economic backdrop. We would look for high quality companies in the Industrial sector, the Consumer Discretionary sector and the Technology sector and would tend to overweight those sectors. How much research do you do on your own versus relying on ideas from outside sources? We generally do not rely on outside sources for new investment ideas. Most often, new ideas are generated in house. We also do most of our research internally, but as I mentioned before, we do like to speak with Wall St. analysts about the companies we are researching to get more background information. Those analysts are particularly helpful if they have been following a company and an industry for a long time. In your research, what do you look for that other investment managers might overlook? The biggest difference between us and other managers is probably time horizon. Most managers today have a very short horizon and, in their research, may concentrate more on a company’s outlook over the next 2 or 3 quarters. Our research is focused on what a company can accomplish over the next 3 to 5 years. That isn’t to say that we ignore the short term, just that we spend more time looking at longer term variables like quality of management, strength in brand names and competitive position. These variables are far more important to us than what a company might earn next quarter. Another difference would be our emphasis on management. Management needs to be able to explain to us how they are going to grow their business over the next several years and why they are going to outpace their competition. After we interview management, if we have a very high level of conviction in their abilities to grow a company, we are more confident that the investment will deliver outstanding returns. Many managers also have a tendency to put a price target on a security when they buy it. We target long tern rate of return, then constantly evaluate how that potential rate of return changes as the company reports its earnings progress. How important is the quality management in your assessment of companies as an investment? Quality of management is one of the first variables we consider in researching a company. Some of the things we look at in assessing the quality management would be: past track record of results in the company, past record of results with other companies, ability to articulate the future prospects of the company and a clear plan for outpacing the competition. When there is a major change in management in one of our portfolio holdings it can represent a red flag, especially if the change is unexpected. It is very important for companies to have a clear succession plan in place and to articulate that plan to the investment community. We like to visit with company managements, or at least attend meetings where management makes a presentation about their company. Such meetings can give you a good feel for the company’s culture and management’s ability to explain their business. Why is comparing a company relative to its competitors in its industry important to you? It is very important to have an assessment of how competitive an industry is, especially if pricing is the major competitive variable. A company may be able to grow its business on a unit basis, but if its competition is cutting prices to gain market share the profitability of the business could be damaged. In the Technology sector it is especially important to have a gauge on how the competition changes when there are changes in the underlying technology. Market shares can shift very rapidly when new products are introduced. The battles between Advanced Micro Devices and Intel in the Semiconductor industry the past few years are good examples of this. You describe yourself as a buy and hold manager. What is your average holding period? Our average holding period is somewhere between 3 and 5 years. We will continue to hold a stock if the company continues to generate strong earnings growth and is fairly priced in the market. We will also sell sooner if the company’s business fundamentals change in a negative way, or if the company’s stock becomes overpriced. How many stocks does a typical portfolio hold and how do you diversify between industry sectors? We typically hold between 25 and 30 stocks in each portfolio and each portfolio will own the same stocks, unless there is a client directed restriction for not owning a particular stock. We tend to concentrate on those sectors of the market that have the best potential for earnings growth over the next 3 to 5 years. Right now our biggest sector weightings are in Technology, Financials, Health Care and Consumer Staples. We also have representation in Energy, Materials, Consumer Discretionary and Industrials. At the moment we have no weighting in Utilities and Telecommunication Services. Even though we are concentrated by stock and by sector, we do put limits on how high the weightings can be for a stock and a given sector in order to control risk in the portfolio. What would prompt you to stay away from particular industry sectors? The biggest reason for us to avoid a particular sector would be that the sector is too sensitive to changes in the overall economy and therefore has no predictability as to who are the best companies. In addition, some sectors are highly competitive and the competition is based on pricing behavior. Again, such sectors would be very unpredictable and it would be difficult to determine which companies would emerge as winners. Another reason for avoiding a sector would be that the sector has very low growth potential and/or a high degree of government regulation. An example would be Utilities-it is hard to find utilities that can grow their business consistently at 15% or better. Do you ever raise cash if you believe the market might be vulnerable or due for a correction? No. We have a policy to be fully invested (with a maximum of 5% cash) at all times. We believe it is very difficult to make market calls and that for every time you are right there will be a time that you are wrong, so in the long run the cost of being wrong, along with the transactions costs, doesn’t help the clients. There are times when we will sell a security and not have an immediate use of the cash, in which case we will temporarily hold a small amount of cash. Do you ever use fixed-income or other securities besides equities to balance your portfolios? We are strictly an equity manger, but we will design a fixed-income portfolio for clients if they request it. The only other securities we use would be options, ETFs and other index vehicles. We will use leap options on securities that we own in order to enhance return or to postpone a taxable sale of a security, and therefore protect a portfolio on the downside. We use ETFs or other index vehicles to buy market exposure inexpensively on a temporary basis. Has a weakened dollar and soaring oil and commodity prices caused you to change your investment strategy? We have always invested in companies that have a large and growing exposure to international economies, so the declining dollar is very good for that type of strategy and we aren’t going to change that strategy at this point. As long as U.S. interest rates are declining the dollar will likely remain weak and the international exposure will help us. Escalating energy prices have caused us to place more emphasis on the Energy sector. We recently added Denbury Resources to our portfolios to go along with XTO Energy. Both companies are well positioned to increase their production rates significantly over the next few years. We typically do not invest in other commodity oriented businesses, but we do track the movement in commodity prices as they affect the general economy and inflation. In our investment decisions, and our analysis of individual companies, we obviously try to factor in how higher commodity prices will affect the cost inputs and profitability of businesses, and we try to avoid those companies that will be hurt by escalating commodity costs. How did you keep volatility of your investments under control while beating the overall market over the past 10 years? I think it comes down to the type of company that we invest in. Over the long run, if a company has stable profit margins and can grow its top line consistently, then its stock price will likely be less volatile than the averages. The hallmark of a high quality management team is to have the ability to control costs, even in a difficult economic environment. High quality managements also have the ability to reinvest profits in order to keep their company in a leading position in their industry, which tends to perpetuate the consistent track record. Having a high component of revenues from foreign economies is another variable that leads to more consistent top and bottom line growth. The U.S. is currently in an economic slowdown, if not an outright recession, but other economies are still growing. Companies that can take advantage of the growth in other economies will be able to withstand the U.S. slowdown much better than those that are more dependent on the U.S. economy. This ability to produce consistent results should, over the long run, produce less volatile stock returns. Please explain why 2007 was a good year for you. Actually, 2007 was somewhat mixed for us. We posted an 8.0% return, which was well above the S&P 500 return of 5.5%, but was below the Russell 1,000 Growth index return of 11.8%. If you look at the last 12 months ending March 31 2008 we have excellent returns compared to both indices. Our return over the last 12 months was +3.2% compared to -5.2% for the S&P 500 and -0.8% for the Russell 1,000 Growth index. The major factor in this outperformance is the underlying earnings growth of our portfolio companies. On average our companies produced 16% earnings growth in 2007, while corporate profits in general only grew in the low single digits. When the stock market started to turn down after the third quarter last year our portfolios held up very well, mainly because most of our companies were not disappointing investors with their earnings progress. Usually, when the market gets jittery we tend to outperform due to the high quality nature of the portfolio. Who are the principals at McHugh and what are their backgrounds? Tom McHugh is our founder, Chairman and Chief Executive Officer. He has been in the investment business for more than 50 years. Prior to starting our firm he was the Chief Investment Officer and Director of the Pitcairn Company for 22 years and has served on numerous corporate boards in his career. Dave Lawson, CFA is President and Chief Operating Officer and has been in the investment business for 28 years. Prior to joining McHugh, he was Chief Investment Officer and Director of Pitcairn Trust Company. Joe Monahan, CFA, Senior Vice President and Chief Financial Officer and has 27 years of investment management experience. Prior to joining McHugh he was Senior Vice President of Pitcairn Trust Company. 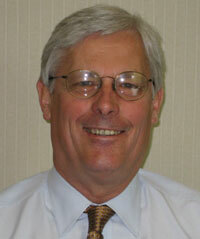 T.J. McHugh is Senior Vice President and Secretary. He has 15 years of investment management experience. Prior to joining McHugh he was an analyst with Pennsylvania Merchant Group and Pitcairn Trust Company. Michael Kijesky, CFA is Senior Vice President and has 11 years of investment management experience. Prior to joining McHugh he was with Cutler and Company and also worked as an Economic Analyst and Acquisition Specialist for Rohm and Haas and Air Products and Chemicals. James Nelson, CFA is Vice President and has 9 years of investment management experience. Prior to joining McHugh he was with Cooke and Bieler and The Ewing Kaufman Foundation. How can investors learn more about McHugh Associates? For a very broad review of our firm investors can go to our website at www.mchughassociates.com. For more specific information and further background on our firm investors can call Sherry Crist, Director of Client Services, at 610-254-2929.